Though the T-Mobile and MetroPCS merger has been ‘news’ for a while now, the deal officially begins this morning with all necessary regulatory approvals and shareholder votes in the bag. The new partnership, combining T-Mobile’s 34 million customers with MetroPCS’s 9 million subscribers under the unified banner of T-Mobile US. T-Mobile will still sit at the number four spot here in the US of A. The company is expected to begin public trading later today under the ticker symbol “TMUS.” The Yahoo Finance page is linked below where you can monitor the first day’s trading. Despite MetroPCS being a CDMA carrier, making its current network infrastructure incompatible with T-Mobile’s existing network and handsets, the merger will garner MetroPCS access to a wider array of devices and give the combined venture a real competitive stance with newly combined spectrum holdings rivaling its competitors in many metropolitan locales. The plan is to shut down MetroPCS’s CDMA network by 2015 and reallocate that spectrum toward the deployment of 4G services nationwide. MetroPCS estimates that over half of their customer base upgrade phones every calendar year, so as consumers upgrade handsets, they will be migrated over to T-Mobile’s GSM network. It seems that now is a great time to be a customer of either carrier. We look forward to seeing the new T-Mobile in an even more invigorated position to compete and offer great service at great value. Still curious about what the deal means for you? 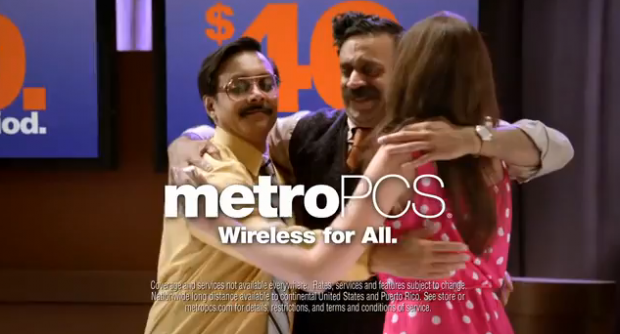 Check out our Ask TmoNews post on the MetroPCS merger. Eh t&t the network with crappy updates and Verizon the bloatware and cosmetics network. I’d say they definitely make great couple in today’s world of overrated and overpriced carriers. 1. How can you not spell “AT&T”? It’s 4 characters and is seen at least once a day. 2. As if AT&T or Verizon are the only carriers that put bloatware or their logos on their phones. What a joke. T-Mobile puts plenty of bloatware on their devices. Look at the T-Mobile G2 for example. It was supposed to be a “pure” Google experience but was chuck full of T-Mobile stuff that could not be removed. If you want completely bloatware (at least Carrier bloatware-free), then buy an iPhone. Apple specifically prohibits carriers from installing any branding or software on the device. I’m sure the Eh t&t was a play on the name, like AT$T, AT&Fee and AT&Terrible. I disagree with those sentiments, but I see it all the time. I’m in the Dallas area and my Magenta network is faster than Eh T&T’s. Maybe this merger will help fuel the LTE rollout. 4G is still pretty fast for now. I can tell you from experience as I just left Verizon. The speeds I’m getting on my iPhone 5 with T-Mobile are pretty much the same as what I was getting on LTE with Verizon. Just half the price and more data. This is definitely a great time for all Tmobile and Metropcs customers. As 2013 moves on many great handsets will be available for all to enjoy on a wonderful network. time before T-Mobile catches up and surpasses Sprint in customers. general no matter who you’re with. Trying not too cause too many headaches for David! Good news! They need to work on their network, let us see this 4 billion dollars you said you invested. Thanks in advance! Who doesn’t love a good wedding? Of course, since it’s T-Mobile and MetroPCS, there will be no reception afterwards. Well played, good Sir. Well played. Anybody know how much a share is going to run ya? Just an educated guess but near the $16.35 – $16.50 mark should be the opening number. Be careful investing in stock like this. I remember the MCI Worldcom fiasco quite clearly as I almost lost my entire portfolio when it tanked. Tech stocks in general are very volatile. Look at Apple’s stock for example. Last year it traded around $700 and now it’s somewhere in the mid $400 range. Just be careful. It took me 15 years of hard work to rebuild the capital lost by trading tech stocks. its ok i lost with bernie too. i lost my entire savings on buy.com. So… I wonder if we can close a 7 million customer gap in a couple years and become Number 3. Only thing with that is if SoftBank buys Sprint, they will heavily invest in the network and probably take number 2 spot. oh if SoftBank ends up buying Sprint for sure then based on my personal experience with their phones i can sadly say i will be switching, not only SoftBank seems to want to invest heavy here in the states but also their powerful line up is one of the reasons i’ll switch, if SoftBank decides to bring Sharp, Fujitsu, NEC and other devices that are practically unknown in this part of the globe then for granted that will scare the hell out of Verizon with it’s droid exclusive and att with it’s Lumia 920. hopefully with SoftBank will also arrive Suica, Osaifu-Keitai and hopefully 1Seg. Completely agree with you. If Softbank brings those line-up over to the US, definitely hard press not to switch. Doubt they will bring 1Seg in because of spectrum issues and how our TV infrastructure is set up, as much as I would like to have TV on my phone, but definitely going to help out the NFC growth though. Slightly off topic, was kind of pissed when I found out that my Galaxy Nexus’s NFC could not use Suica when I was in Japan, had to make me buy a card….. Taking number 2 is unlikely for either T-Mobile or Sprint unless they buy up several more regional carriers. Taking number 2 would require Sprint to double their subscriber base which could take a very long time without acquisitions and also would require AT&T to slow down or even start to consistently lose customers. So probably not going to happen even with Softbank or Dish buying them. Oh he’s around. He’s hunting down leads and raising a newborn baby. It will be interesting to see the fruits of this merger! Better network coverage eventually, more handset’s…….. And more importantly more money to invest back into the network! hopefully everything goes smoothly more smoothly then the sprint nextel merger i wanna see how good the metropcs and tmobile network are. Why is my contract is still valid??? Why wouldn’t it be? This isn’t a material change for T-Mobile customers as absolutely nothing has changed on your end. Well, as soon as your contract is over, that will be the case. Just because the company has switched to no contracts, it’s that model from APR 25 2013 forward. Any previous agreements would be enforceable because if they released it, they’d be subject to breach of contract suits. You answered your own question with one simple word: contract. Yep T-Mobile is on a roll right now. The beginning of a new chapter for tmo. ~16? Seems high when you look at Sprint @ 7.09. Though VZW and T are much higher. Anyone in on this? Though I am admittedly excited and am ready to buy right now. You have to look at the total number of shares too. The per-share price is only part of the picture. Sprint has 3.01 billion shares trading at ~$7. I can’t find a reliable number for how many TMUS shares there are but it looks like it’ll be around 1 billion. Thanks for that insight. I’m not too well-versed in the stock market, which is why I own like 3 pieces of stock at any time. I think I’m doing it wrong. E-trade or go to your local chase/bank of america/etc and open up an investment account. You should look into the fees they have per transaction. E-trade has the lowest fee so far. But I actually trade through the financial company handling all the retirement plan/savings plans/etc. I trade through here because I already have a 401k that I can transfer money to/from to a self directed brokerage account. If you do use e-trade, few things to learn, there’s a 9.99 fee per transaction. So if you’re planning to buy a stock, make sure you buy enough so that when your stocks grow, you get to cover the loss of 9.99. If you don’t have a lot of money, I suggest watching how the stock price goes for the first quarter first. You should also probably read what EPS and what Cap means for a company. P/E ratio. Scottrade’s transaction/commission fee is only $7 per trade transaction. To taron19119, the transaction fee is assessed both for the buy and the sell so it is $14 per stock if you buy and sell. The fee is assessed no matter how many shares you buy so if you buy 100 or 1000 at one time, the fee will be $7. when will we use metro pcs LTE towers? This is my last month on T-mobile family plan. Next month I am getting my own line don’t have to share anymore. Lol..sorry I don’t know why I found that funny. I am counting down because after June 3rd I don’t have to carry my HTC HD2 anymore. Oh wow you have an HD2. Are you running Windows or Android? why are we loosing more coverage from att in michigan? i thought they got to roam on att for several years because of failed merger but i see large swaths of att roaming disappear around the country. anyone know why? a good example is grand haven michigan which used to have roaming till a few days ago. FYI for folks in NYC, i just got LTE 16 down 7 up UNDERGROUND at both the columbus circle and rock center subway stations. Odd thing is above ground it went back to H+. Should be any time now though! My first LTE signal, very excited, was blazing fast! Using an unlocked lumia 920 with AWS. Of course, the HSPA+ around there and New Jersey has been going as high as 18 down, so it’s like the future is here already. I’m really excited to be supporting this underdog network. Let’s go! Can’t wait to see more of this LTE rollout. I’ve gotten speeds of up to 49 down and 19 up, averaging around 27 down and 10 up on my new iPhone. Good things are coming! Bellevue, WA. 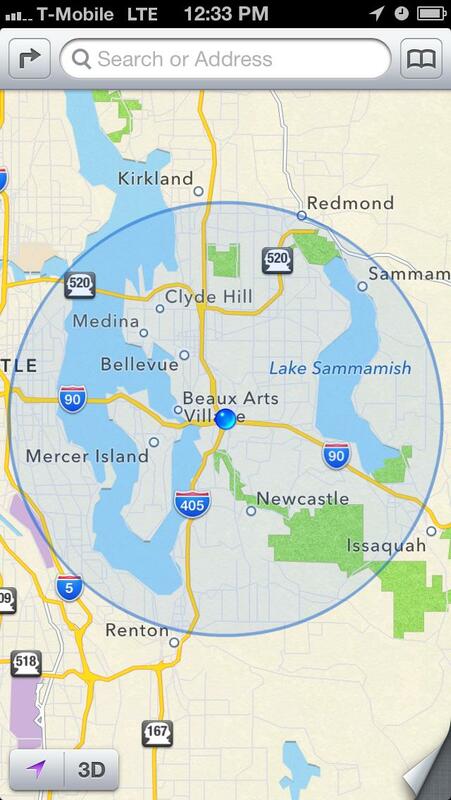 Which, yeah, home of T-Mobile headquarters, but even in areas I’m on 4G I’m getting 20 down. I’m sitting in Factoria now (I live about a mile from T-Mobile) staring at the screen of my iPhone and it says I have three bars of LTE. This area tends to get a lot of unofficial test stuff, so definitely check! My friends with Android had to do the latest software update to get it, and mine didn’t show up until I did the 6.1.3 upgrade since it shipped with 6.1.2. It’s worth trying if you’ve got an LTE capable device. unofficial test stuff? like area 51? Hm, comment disappeared. But, yeah, I am. I live about a mile from T-Mobile and am sitting here staring at three bars of LTE. I’ve got several friends with the S3 and Note 2 who are also getting the same. only s3 capable of lte is not out yet. .. so no way to your friends with an s3. My error, then. I thought it was the S3 but they both have the Note 2. Guess I wasn’t paying as close attention as I though. another thought comes to mind. whoever negotiated the at&t deal is a genius. they took a huge gamble and who’s to say they weren’t betting that the deal would actually FAIL! Basically using AT&T’s own hubris against them to jumpstart this unprecedented growth phase for the company. Awesome.